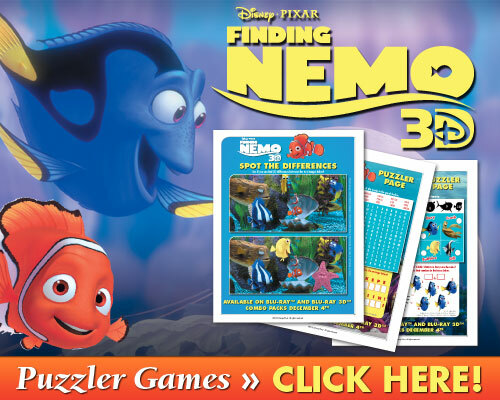 Finding Nemo DVD Review, Videos, and More Fun! 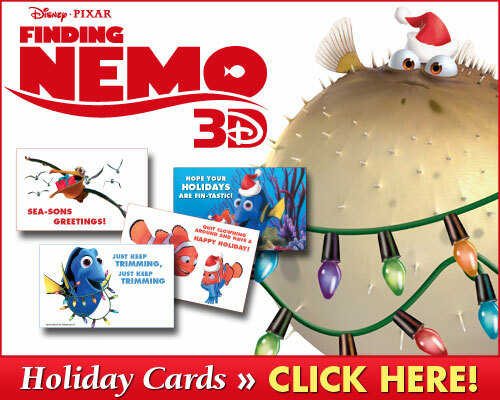 Disney•Pixar’s “Finding Nemo” dives back into homes this coming holiday in breathtaking Blu-rayTM. The must-“sea,” must-own Oscar®-winning underwater adventure—featuring the unforgettable Marlin, his forgetful friend Dory and the lovable young Nemo—swims into living rooms for the first time ever in high-definition Blu-ray, Blu-ray 3D and Digital platforms. What’s not to love about Finding Nemo? Finding Nemo is one of my family’s favorite Disney movies. It tells the tale of what happens when a clownfish, Nemo, gets scooped up by a diver when he is rebelling against his father and showing off for his friends. His father, Marlin (Albert Brooks), goes to great lengths to find his son. Along the way in the Great Barrier Reef Marlin meets lots of new friends, including Crush the 150 year old sea turtle, and faces lots of challenges from sharks to jellyfish. My favorite character in this film is Dory, voiced by none-other than Ellen DeGeneres. She’s not the brightest fish, but her happiness is contagious. Finding Nemo is a great family movie for every age. It’s one of the few movies that I don’t mind watching over and over again. If you have a 3D Blu-Ray player, be sure to get the 3D version that has now been released so you can really feel like you are underwater with Nemo, Marlin, and the rest of the ocean gang. Remember- Just Keep Swimming, Just Keep Swimming! “Finding Nemo,” first released in theaters in 2003, earned the Oscar® for Best Animated Feature Film and remains the fifth highest grossing animated film worldwide. 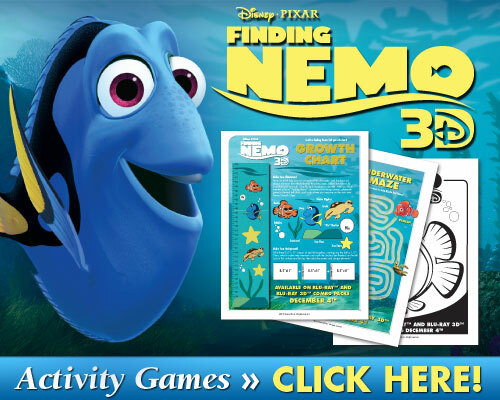 In 2008, the American Film Institute named ―Finding Nemo‖ among the top 10 greatest animated films ever made, and it is the second highest grossing Pixar film to date (behind “Toy Story 3”). The hi-def home entertainment release of “Finding Nemo” will be available as a 5-Disc Ultimate Collector’s Edition (2 Blu-ray 2D + 1 Blu-ray 3D + 1 DVD + 1 Digital Copy), 3-Disc Collector’s Edition (2 Blu-ray 2D + 1 DVD), 3D Digital & High-Definition Digital formats.